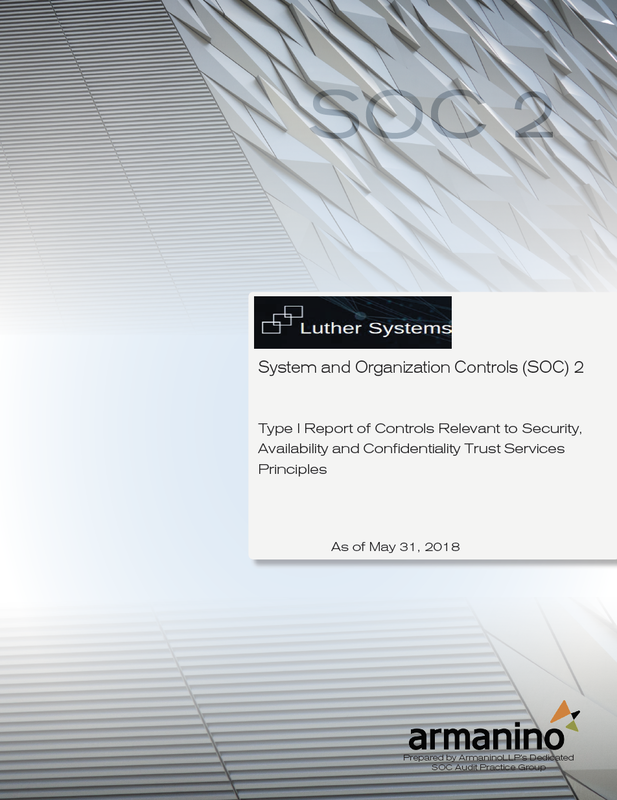 Luther Systems is glad to announce that we have completed the requirements for a Service Organisation Control (SOC) 2 Audit covering our blockchain products. Specifically geared toward SaaS and other technology companies with a focus on security, availability, processing integrity, confidentiality and privacy, the SOC 2 standard best meets the demands of the information security and SaaS marketplace. This extensive reporting standard provides independent validation that Luther Systems’ internal control environment operates in accordance with the selected Institute of Certified Public Accountants (AICPA) trust services principles and criteria. Members of Armanino’s dedicated Risk Assurance & Advisory Practice completed the SOC 2 audit verifying that Luther Systems’ processes and internal controls are designed appropriately to meet all the requirements for the AICPA Security, Availability and Confidentiality criteria. Luther Systems investment in our SOC 2 program and reporting demonstrates our commitment to ensuring transparency for our customers. Armanino is one of the largest CPA and consulting firm and one of the top ten fastest-growing large accounting firms in the nation.